LCK Regional Qualifier will be played in Patch 8.15 with Akali unlocked. The patch will be one of the major factors on deciding which of SKT T1, Gen.G, Griffin or Kingzone DragonX will take the third and final LCK seed for 2018 World Championship. CloudTemplar, one of the OGN LCK commentators, announced in his YouTube channel that the Patch for LCK Regional Qualifier will be the same as LCK Playoffs, Patch 8.15. There is a twist, however – Akali, previously unavailable for Playoffs, will be unlocked for Regional Qualifier. CloudTemplar also confirmed that LCK Promotions and Relegations will be played in Patch 8.17. The most obvious benefactor for this news would be Griffin, who have been practising on Patch 8.15 during the Asian Games break and have recently played on Patch 8.15 against KT Rolster at LCK Finals. Also, there is an unknown factor of Akali. Akali has previously been locked away for all LCK Playoffs matches, but the recently reworked champion will be available for teams to play at the Regional Qualifier. 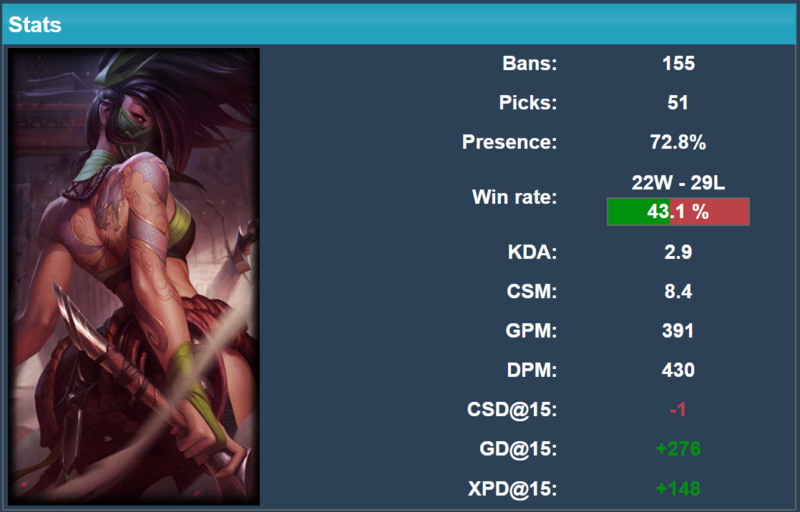 In EU and NA and other regions where Akali has already been enabled, Akali has been considered “OP” and boasts 72.8% P&B rate on Patch 8.15 according to GameOfLegends. It is likely that Akali will be a highly contested pick during LCK Regional Qualifier and disrupt the established ecosystem of 8.15 meta. Out of the mid-laners that are competing in the Regional Qualifier, Faker seems to have had the most practise and success on Akali, potentially giving SKT the extra leverage they need in the Regional Qualifier. The first match in LCK Regional Qualifier, Gen.G vs SKT T1, will be held on 12th of September, 5PM KST. All Regional Qualifier matches will be broadcasted through SPOTV, with the English broadcast commentated by PapaSmithy and Valdes.